Ningbo F.Y. AUTO PARTS CO. , LTD. is one of the leading manufacturers and traders of the automotive spare parts in China. We have been specialized in the automotive industry for more than ten years. Our leading products include suspension parts, wheel hubs, bearings, tension wheels, clutch release bearings, rubber parts, water pumps, C.V. joints, Silicone oil fan clutch , oil seal, etc, which are mainly exported to Europe, USA, South America and Middle East. With the rapid growing of our business in the world market, so far we have established following factories invested by our Group company. Suspension Parts Factory. It has a strong R&D team which enables us to develop any new parts according to customer's requirements and it manufactures a big variety of suspension parts with more 5000 items for different cars, consisting of Ball Joint, Tie Rod End, Rack End, Side Rod Assy, Control arm, etc. Wheel hubs Factory. It has a strong capability of research and development as well as perfect production management system which guarantees our good quality and timely delivery. 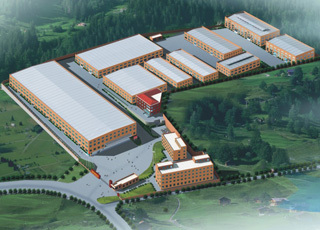 Its production capacity reaches up to 20,000 sets per month. Rubber Parts Factory. It is enjoying the high reputation for its good quality which has been recognized by most of our customers. In order to meet our customer's demand, we will be dedicated in developing more new products in 2006. Bearing Factory. It specializes in manufacturing bearings and related repair kits mainly for European and US cars. In order to increase our business in the market, we will continuously develop new items so as to meet customer's different demands. Water Pump Factory. Under the request of our customers, we just set up our water pump factory last year. We are confident that we will be able to provide our customers with good quality, rapid new products development as well as timely delivery. We are looking forward to establishing a long term business relationship with the customers al l around the world.